When it comes to financing your next travel trailer, the process can feel intimidating! You are ready to start your cross-country adventure in your new Airstream travel trailer but have no idea how to go about financing it. Here at Ewald’s Airstream of Wisconsin, we make the financing process easy with our on-site Airstream financing center in Franklin, Wisconsin. Our team is ready to walk you through every step of the process because we want you to be confident in your decision to buy an Airstream travel trailer or RV. Loans, down payments; financing a travel trailer is so much more than choosing a model and color which can make the process overwhelming. Which is why at the Airstream finance center we make it easy to navigate the financing world here in Franklin, WI. That way all you need to worry about is where you are going to travel too first. We can determine your eligibility for low APR, and cash allowance offers, and whether or not you are better off financing a travel trailer or one of the many Airstream RVs for sale. 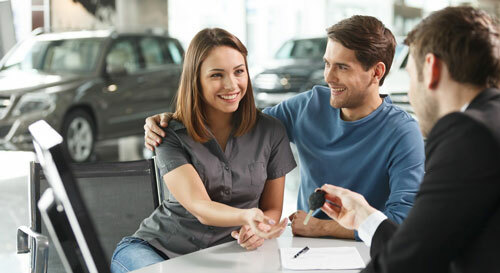 We want to help you make the best decision possible for your financing situation. Get in touch, calculate your financing eligibility, or browse our specials today. Worried that you have less than perfect credit and it may hurt your chances of being eligible for financing? If this is the case has no fear because at Ewald’s Airstream of Wisconsin we offer a large selection of low credit financing program. If you have no credit, we can even help you secure a no credit financing loan. Here at Ewald’s Airstream of Wisconsin, we are committed to finding you a loan that will fit your budget. Here at the finance center, we can do more than help with travel trailer financing; we can also help you refinance your loan or adjust the term of the contract. So you can afford a car that fits both your wants and needs here in Franklin and Milwaukee, Wisconsin. You're just a step away from approved Airstream financing when you work with the team at the Airstream Financing center here in Franklin, Wisconsin. When it comes to financing a travel trailer, the process can take some time, because we want to make sure that you are getting the deal that best fits into your budget. However, here at the financing center of Airstream we also understand that many people do not have the time or want to sit down and talk to a stranger about their finances. Which is why we also offer online resources to speed your process up. With the Get Pre-Approved form you can know just how much you are pre-approved for before you start shopping for your next Airstream RV or Travel Trailer. The get pre-approved form is quick and easy to fill out. All you need to do is fill in the required information and hit submit. Once you, send your form an Airstream financial representative will look it over and get back to you with what you are pre-qualified for when it comes to financing. With the Value My Trade Tool, you can get a trade in value instantly. All you need to do is answer a few questions about your vehicle such as the mileage, the make and year and condition of your RV or Travel Trailer. Hit submit and get an instant trade-in value so you can shop with confidence. We realize that submitting sensitive financial information online makes people nervous (and with good reason! ), we've gone to great lengths to keep our customer's data safe. All of our finance forms are secure, and you can safely enter your information with worrying about identity theft. As well as much more, making the extended service contract a great deal to invest in, so you can travel with peace of mind knowing that the only thing you need to worry about is getting to your destination. Here at the Airstream financing center, we can even work with you to figure out how it will fit in with your budget and monthly payment plan. Whether you are Milwaukee driver or a Franklin driver in a just short drive, you can be on your way to an Airstream trailer and a pain-free financing process. The team at the Airstream finance center of Ewald’s Airstream of Wisconsin is ready to answer all your financing questions as well as figure out your financing terms. Whether you want to finance or buy outright, we are here to help the drivers of Franklin, Milwaukee, and the surrounding areas drive off in the Airstream of their dreams. Come to your local Airstream dealership in Franklin, WI Ewald’s Airstream of Wisconsin and learn more about how you can finance your next Travel trailer or RV right here in Franklin, WI.